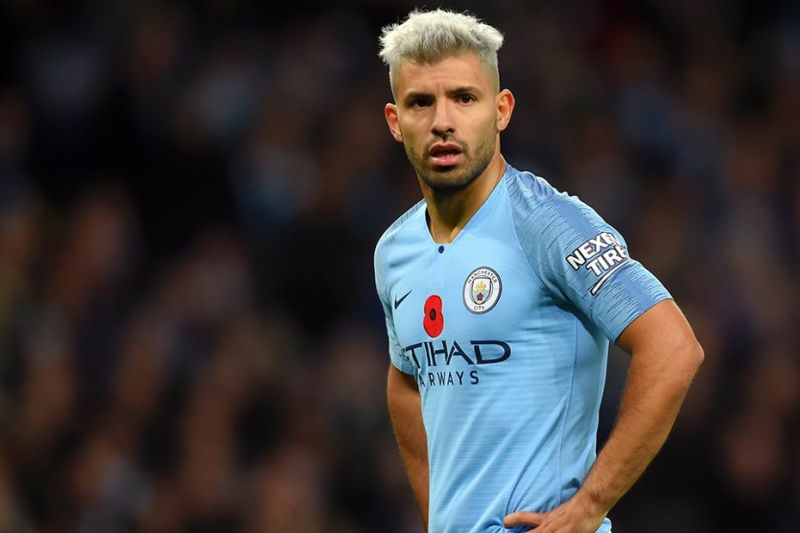 Manchester City suffered a shock defeat last time out against Newcastle United which, however, didn't cost them dearly as Liverpool dropped points against Leicester as well. 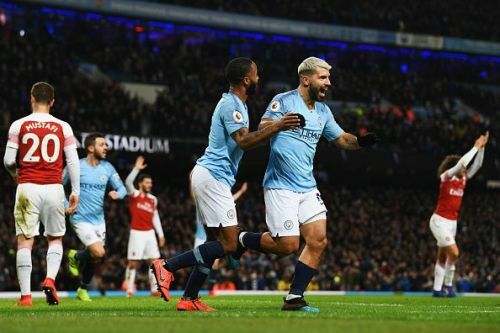 The defending champions couldn't afford to lose any more points as they faced an Arsenal side who themselves had an up and down season and are desperately fighting for a top-four finish in the Premier League. Both teams had quality players upfront which promised a goal scoring feast at the Etihad Stadium. There was a desperation about City, and within the opening minute of the game, Sergio Aguero put the home side in front. Against the run of play, Koscielny headed in from a corner as the Gunners got back into the tie after falling behind early. Though City had most of the possession, it was an end to end stuff then on. However, towards the fag end of the first half, Aguero finished off a beautiful move by City to give the defending Champions the lead going into the break. It was all City in the second half as Aguero wrapped up his hat-trick with a slightly scrappy goal from a pass by Raheem Sterling. The Citizens went rampant and could have scored 6-7 goals as the Arsenal goalkeeper, Bernd Leno, made a string of saves to keep the difference to just two. That was enough to seal all three points for the home side and reduce the deficit to only two points at the top. Here are three observations from the game. When Arsenal and Manchester City square off, it always promises goals galore and today was no exception to that. Both sides came into the game with different ambitions, and they needed points to close the gap to the clubs above them. Pep Guardiola's side is fighting on all four fronts which sometimes takes a toll on the players, but that didn't reflect the way City started the game as they were ahead within the first forty-six seconds of the match. The home side kept up the pressure and could have increased the lead. However, against the run of play, Arsenal, out of nowhere found themselves level after Monreal's back header found Koscielny who didn't miss from six yards out. The Citizens used the flanks brilliantly as both Sterling and Bernardo Silva looked menacing with the former finding Aguero towards the end of the first half to restore the lead for City going into the break. It was a half that lived up to its hype and would be thoroughly enjoyed by the neutrals.